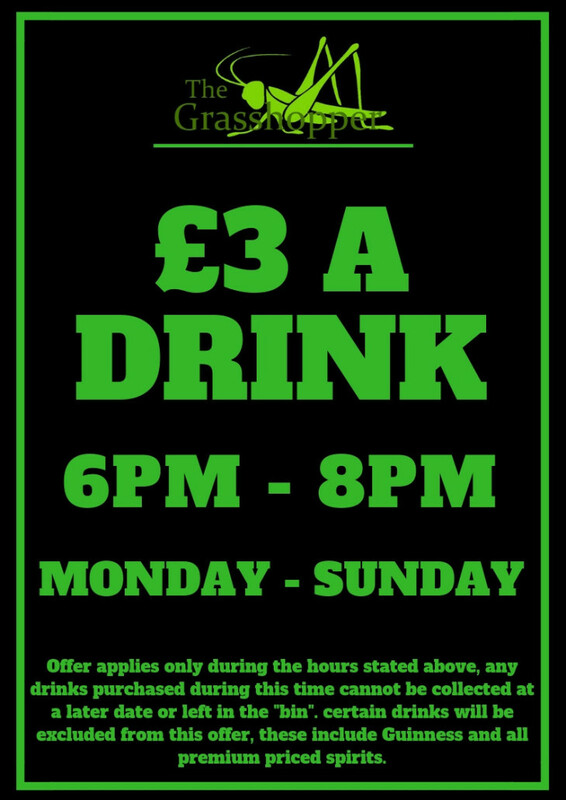 Whether it's a stressful day at work or a celebration, come and join us at the grasshopper for our £3 a drink event. the offer will be open to all, 7 days a week, between the hours of 6pm-8pm. with only a small handful of exclusions your drink of choice is sure to be under the offer! !